It is commonly known that the use of almost any Oracle software program requires a license. But how does that work when you only install the Oracle software for disaster recovery (DR) purposes? You don’t use the software, so you probably don’t need to license it, right? 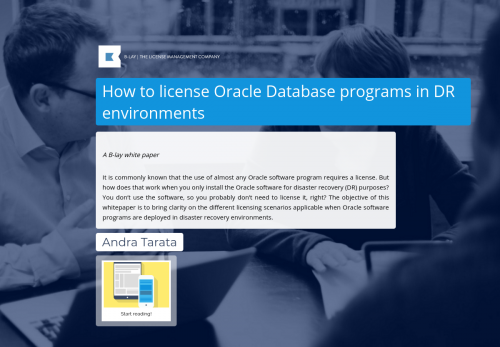 The objective of this whitepaper is to bring clarity on the different licensing scenarios applicable when Oracle software programs are deployed in disaster recovery environments.